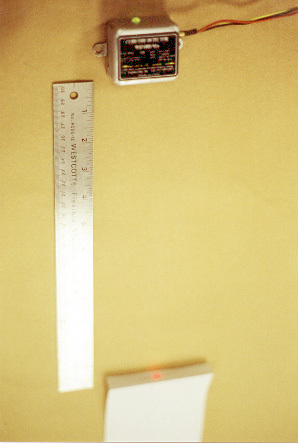 Invisible Mark Detectors - Products - V.L. Engineering, Inc.
Detect presence of marks printed with a number of invisible inks including ClirCode™ 1100. These devices are winning the competition due to an elegant design incorporating an LED or a solid state laser, optical filters, mirrors, lenses, sensors and signal processor into compact housing for use in industrial control applications. The Wizard™ NL6 detects a number of invisible inks including ClirCode™ 1100. This non-contact detector has a broad range of sensitivity, large working depth, and low propagation delay. High speed of detection makes it ideal for continuous conveyor operation. The Wizard™ NL6 is easy to install and requires no maintenance. Detector Wizard™ NL8 is similar to the Wizard™ NL6 with the exception of the operating bandwidth. The Wizard™ NL8 operates at the longer infrared wavelength near 900 nm. The Wizard™ MD6 reliably identifies presence of marks printed with a number of invisible inks including ClirCode™ 1100. 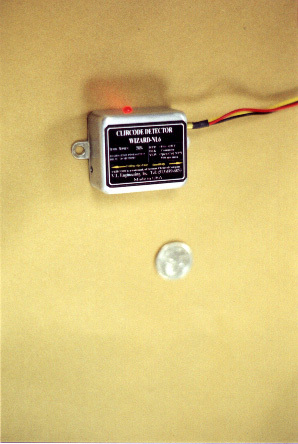 This low cost detector is battery powered. A red beam emanates from the small window on the bottom side when the round spot on the front side is pressed. This beam should be directed at the point of interest. The LED on the top will change its color to green if an invisible mark is present at the window. 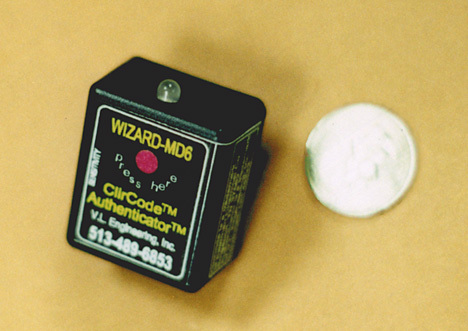 Detector Wizard™ MD8 is similar to the Wizard™ MD6 with the exception of the operating bandwidth. The Wizard™ MD8 operates at the longer infrared wavelength near 900 nm. Detector Wizard™ U-U is a hand held, battery powered detector of invisible inorganic taggant operating entirely in the UV spectrum. Using a small indicator LED, it informs the user of presence of the down-converter taggant on the surface of the substrate that is pressed against the detector window.